May is National Bike Month! Take time to celebrate the many benefits of cycling, for both recreation and commuting. Events such as Bike-to-Work Week (May 16-20) and Bike-to-School Day (May 4) are a few examples of the celebration of cycling going on this month. LSA employees participated in Bike-to-Work Day on Thursday, May 12. Bicycling is promoted by jurisdictions across the country and by numerous organizations interested in promoting personal and environmental health, as well as traffic and vehicle reduction. 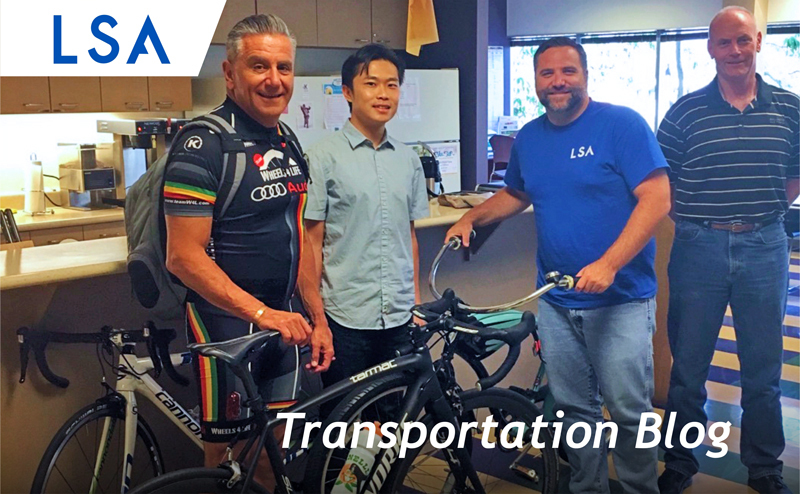 Several LSA offices, such as its Irvine and Riverside locations, provide on premise shower rooms for employees in an effort to support biking to work and these overall efforts. Today, a variety of government agencies are beginning to recognize the value in bicycling and appropriately incorporating bicycle facilities into their roadway plans. Standout California entities in support of these precepts include the Cities of San Francisco, Long Beach, Irvine, and San Diego. High-profile plans, such as the Orange County Bike Loop and the Greenway 2020 in the City of Los Angeles, seek to improve bicycle access in their respective areas. LSA has provided bicycle and pedestrian plans for jurisdictions throughout California and into neighboring states. California examples include the Castroville Bicycle/Pedestrian Path and Railroad Overcrossing Project, the Contra Costa County George Miller Regional Trail, the Monterey Bay Sanctuary Scenic Trail, and the Newport Beach Bicycle Master Plan. Widely available tools, such as Google Maps, Strava Local, Pathym, and Runtastic, provide detailed maps of existing bicycle facilities in your area. Knowledge of routes and safe practices can vastly improve the safety and enjoyment of cycling. With a little preparation and a comfortable bike helmet, many more people (including you) can take advantage of these events and perhaps develop a fun and healthy new exercise habit! More information regarding National Bike Month and events in your neighborhood can be found here. 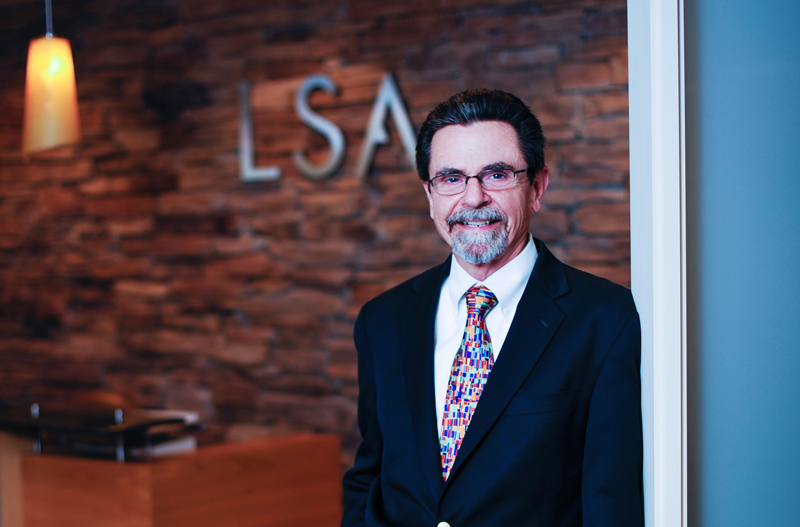 Further details regarding the transportation, bicycle, and pedestrian plan professional services that LSA provides can be found here.